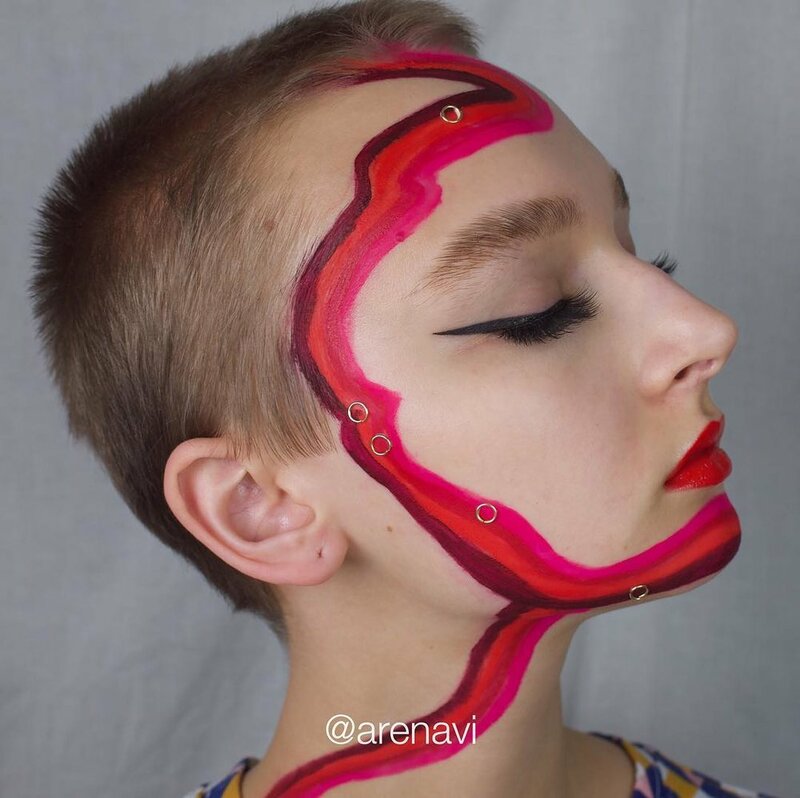 Arielle reimagines what it means to apply makeup, using craft elements like string, paper and beads along with glossy, watercolour textures to manipulate new shapes. Not one to be caught up by the boundaries of conventional makeup, Ary allows cultural context, literature, and a strong awareness of societal imbalances to inform her creative drive - what results is a colourful, diverse portfolio of looks from a daring young artist sure to make waves. If makeup is your side hustle, what’s your main gig? Makeup is my side-hustle but I don’t care about any job like I care about makeup. I work as a desk-girl for a local salon and that’s my main source of income, but I spend all my emotional energy on my Instagram and art. I would love to be a freelance artist in the future, or even be able to support myself off of Instagram alone. For now, my art comes at my own expense. 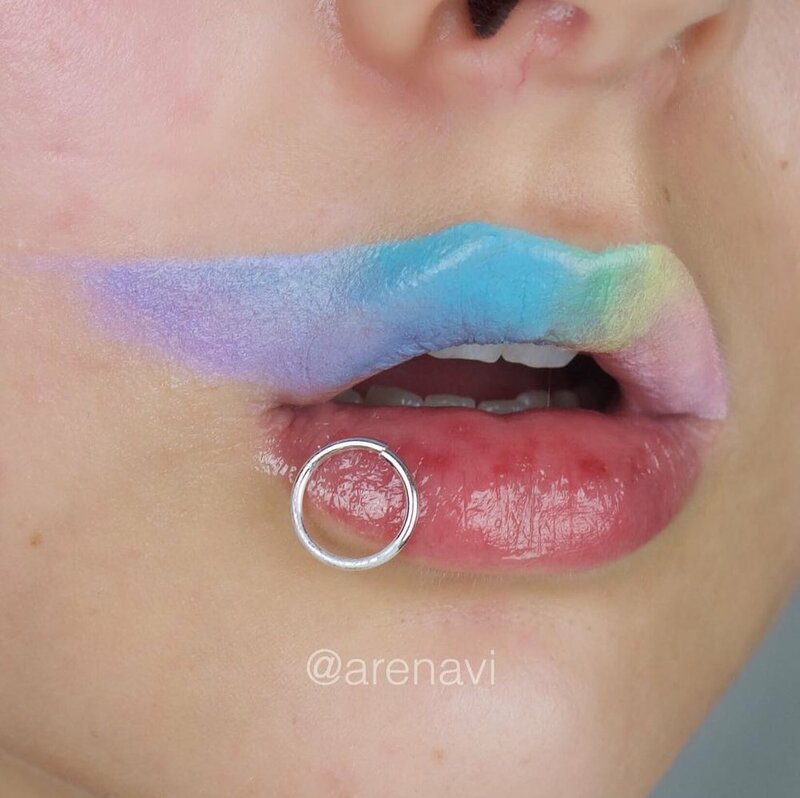 When and how did you start experimenting with more creative makeup looks? I started experimenting with more avant-garde looks in the summer of 2018. I haven’t been doing it for very long, but it’s the only thing that got me noticed in the currently over-saturated beauty scene. Like any social media marketing guru will tell you: keep doing what works! There really was no “how”, it’s just a matter of deciding that you want to stick out in the crowd. I had shaved my head in the spring of 2018, but I wasn’t satisfied by that fleeting taste of freedom. I want every artist out there to know that they don’t need to follow the wave if it doesn't make them happy. You don't need to be pretty, talented, or confident to be an artist. I want everyone to know that the only thing stopping them from doing something unique is themselves. You are me before I made the decision to do my thing. My top palette pick would have to be the Coloured Raine Vivid Pigment Palette. It has the best pigmentation of anything I’ve ever used and no patchiness whatsoever. All-time fave shade or shade-range to experiment and play with? I don’t really have a favourite shade range or colour family because I go through so many different phases with my makeup. One day I’ll be pining over yellows, the next day pinks, and so on and so forth. I generally don’t wear nudes or neutrals because they don’t inspire me as much. My favourite lip product will probably always be gloss. Anastasia glosses have always been a favourite, and Colourpop glosses are a close second. Someday I’m going to own every Pat McGrath product in existence, starting with her lip glosses. If you had to survive on only one makeup brand, which one would it be and why? That’s such a good question! If I had to pick one brand I’d be so sad. I would have to choose Image Skincare products. They’re the only brand of skincare that has been truly good to my skin. I am a total skincare freak because ever since I was a kid I’ve had like, the werrrrrrrst dry skin. Image skincare is made completely of plants, all pure plant ingredients. This isn’t sponsored, I’m just desperate to be hydrated. Who’s your major makeup icon and why? I don’t have a singular artist who inspired me, and I don’t think I could ever put one of them above all the rest. Jackie Aina taught me that activism and the beauty community have to go together. Billie Eilish taught me that beauty is about what you can make others feel. Marie Dausell taught me that there are rules to be broken. Nicki Minaj taught me that femininity is ferocious. Emilia Fart taught me that beauty is honest. What’s your signature, go-to look? My signature look always includes thick, sharp eyeliner and feathery brows and eyelashes. Of course, we can’t forget the gloss. What’s the most annoying trend in makeup to you? The most annoying trend in makeup, to me, is that we dump on women for playing with trends. It’s a trend in the community that we belittle others (primarily women) for not having all their “T”s crossed and “I”s dotted. We cheer on every white boy who picks up his mother’s lipstick while we rag on trans artists, queer artists, gender non-conforming artists, and we constantly cancel non-white artists if their hairline is crooked, if they’re too loud, or if they don’t perfectly mirror straight, white, cisgendered artists. My least favourite trend in makeup is that LGBT+, non-white and impoverished artists are left out of the ‘community’. What’s your most favourite look you’ve done to date? My favourite look to date is probably one of the first three looks you see in my feed. I am constantly learning and growing as an artist, so I can't really pick a favourite. I have a lot of emotion towards each piece because they all remind me of what I was going through at the time. Is there a person or a time that inspires the way you do your makeup? An era, or a muse? This is so difficult to choose! 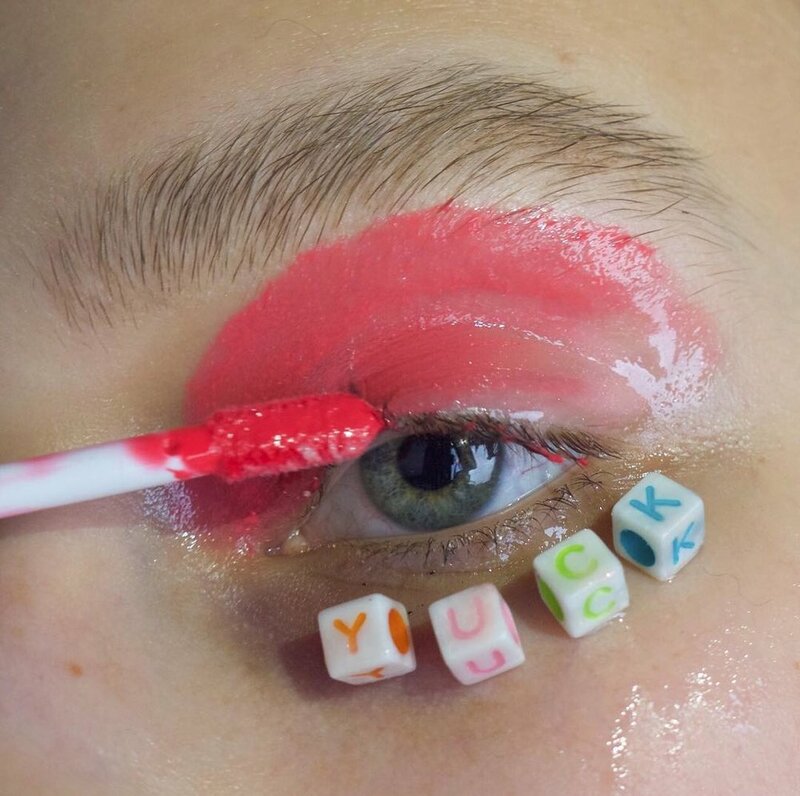 I am so in love with makeup as an extension of fashion. I’m so grateful to live in 2019, ‘cause like, we can see every era of fashion and choose which one we like the most, but we don’t have to experience the painful bits of history. I don’t have to live in nearly as much fear for my life as a queer woman would have had to in the 60s, 70s, or so on. I can dress in my own personalised expression of an era like the 20s or 40s, but nobody has cut my throat and dumped me in a river for living as a strong-willed woman, a queer person, or the sort. I do suffer from disabilities but I’m from a privileged, middle-class family so all my needs are met, my prescriptions are filled, and my doctor visits are covered. There is no better time to be alive other than now (for middle-class Americans with little to no life experience). 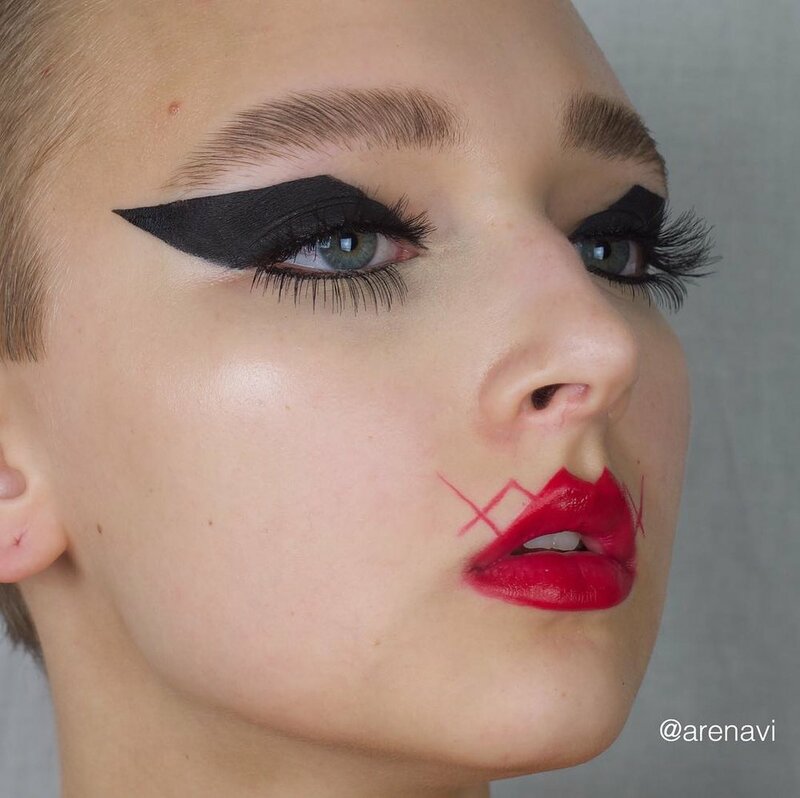 How do you feel social platforms like Instagram and YouTube will continue to influence makeup artistry in the future? Social media will probably always influence makeup and art in the future. It is, unfortunately, a billion-dollar leg of capitalism that simultaneously supports the privileged at the expense of foreign nations and people. The marketing side of social media is relatively new, and with that comes a lot of trial-and-error and rapid changes. How the future may look, I can hardly imagine. Right now it’s seriously looking like I might need to step up my TikTok game. What’s your “why” - why do you do what you do with makeup? Why does anyone do anything? Well, probably because it feels to them like the right thing. It moves you, it frees you; there is no why.